Brian D Smith, chair of the PMEA awards explains how entering – and maybe winning – could help boost recognition and pride in your team’s work. It’s not unusual, when people find out what I do, to find myself defending the industry and its marketers. The average layperson sees us as avaricious, manipulative and less than honest. It’s only when I describe the reality of marketing pharmaceuticals and medical technology that they fall back to their ‘Oh, I didn’t realise’ position. The ignorance of the layperson is forgivable, but our part in it is less so. As an industry, we might shout our virtues from the rooftops, but as a profession within that industry, we’re far too reticent. PMEA, of which I’m proud to chair the judging panel, is a way for pharmaceutical marketers to overcome that reserve. We’ve designed its categories and judging process to bring out the most socially valuable work that brand teams and their agencies do. From working co-operatively with healthcare professionals to supporting their educational needs, and from launching new medicines to creating added value services, PMEA aims to provide a channel for our oft-maligned profession to shout about the good that it does and to recognise the very best work. Companies and their agencies that enter PMEA tell a consistent story. Putting together an entry takes some work, but only a manageable amount. The entry process enables valuable reflection on the aims and outcomes of recent programmes. It can also help to cement working relationships between agencies and their clients. Those who win also see the value that external recognition has; pressured teams working in competitive markets need and benefit from being told, by a panel of experts, that what they did was exemplary and praiseworthy. At the annual awards ceremony, one can easily see the impact that winning, or even just being a finalist, has on the morale of brand teams and their supporting agencies. And of course, the real-world benefits are not to be ignored. In a competitive job market, a PMEA award is a valuable addition to any CV. To an agency trying to demonstrate the quality of its work to new clients, the PMEA are tangible expressions of their creativity and industry expertise. To a leadership team, PMEA signifies brand team excellence. 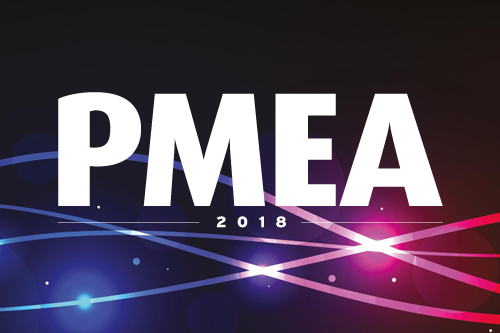 So, whether agency or brand team, I encourage you to enter PMEA 2018. The deadline for submissions - Thursday 30 August - is approaching fast. It might seem an unnecessary demand on your time but it’s easy to do and brings many rewards for you, your team and the industry. You’ve done good work that makes a difference. Let the world know about it.